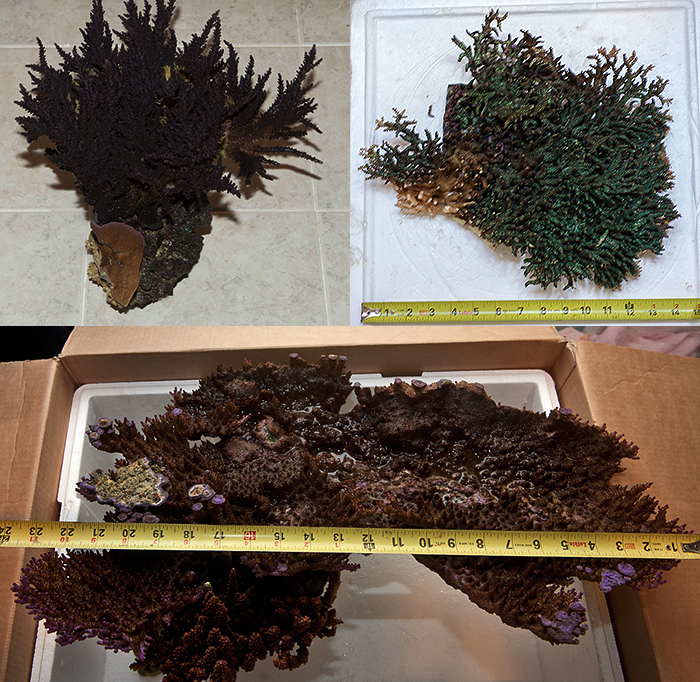 By Sanjay Joshi Last year turned out to be a very trying time for my 500G Reef. The tank has been setup and running since late 2006, and over the years has run trouble free for the most part other than a few minor glitches here and there, mostly related to travel and reef gremlins partying while I was away. The tank has been set up utilizing sound design principles to thwart Murphy and withstand hands off operation over extended periods of time to comply with my busy travel schedule. A picture of the in early March 2013, is shown below. A picture of the tank in early March 2013. 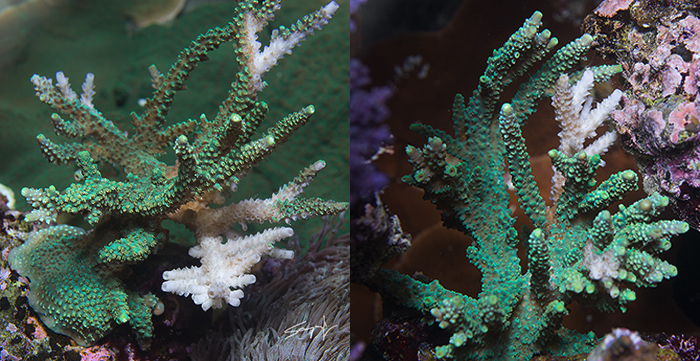 Starting last April, a series of successive problems led to the complete decimation of the extensive Acropora population in my tank. It has been heart breaking to watch the loss of corals that had grown into 16-20” diameter colonies. It would have been easy to hide the problems and protect my reputation as a reputable and accomplished reefkeeper, however I feel that more can be learned by sharing bad experiences and lessons learned than by just speaking of success stories. In keeping with this philosophy, this article details the series of events that struck my tank, the actions taken, and lessons learned. In late March, I started a reef renovation project to remove some of the large colonies in my tank. I usually renovate 1/3 sections of my reef on a yearly basis. 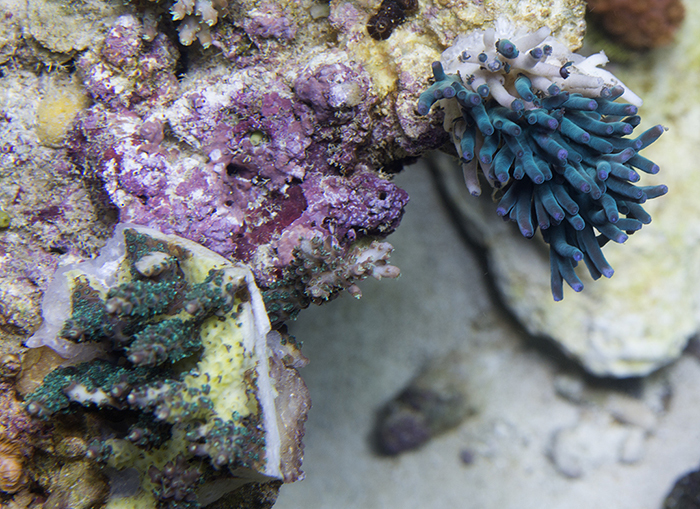 Several large colonies of corals were removed and replaced by new corals. A lot of new nice Aussie corals had been coming in and I needed to make some room in the tank for them. Soon after, I noticed that a couple of my corals were showing signs of RTN (Rapid Tissue Necrosis). RTN or Rapid Tissue Necrosis is loosely defined as a rapid degradation of coral tissue that leads to death of large portions of the colony, and in most cases, the complete coral in less than a day or in some cases even a few hours. The symptoms generally involve sloughing off of large chunks of the coral tissue while the coral still shows healthy polyp extension in other areas of the colony as can be seen in the many of the following pictures. Some examples of corals removed from the reef over the years. It was spring, and I did have lawn service come and spray for weeds and fertilize. Could some of that have potentially gotten into the house and contaminated the tank? Were any household sprays and air fresheners used near the tank? In Revive, Iodine, RPS, etc. – Do not frag and try to save the coral frags in the same system. Create a separate system for them. If in fact it is a bacterial/viral infection then reintroducing a freshly fragged and stressed coral back into the same environment may make it more susceptible to disease. I was not very successful doing this. – Let the heavily fragged corals heal before adding new colonies or frags. Introduction of new corals from the wild or different systems has the potential to bring in new bacteria that may be fine on the existing coral ,but may not play nice with the stressed corals. – Do nothing else and let it run its course. This may be the least stressful on the tank and the owner. Random haphazard actions may be more detrimental. The RTN saga detailed above took its toll, but unfortunately, it was not the only problem to rear its head in 2013. I’ll address these in the next installment in this series. References Ben-Haim Y, Zicherman-Keren M, Rosenberg E. (2003). 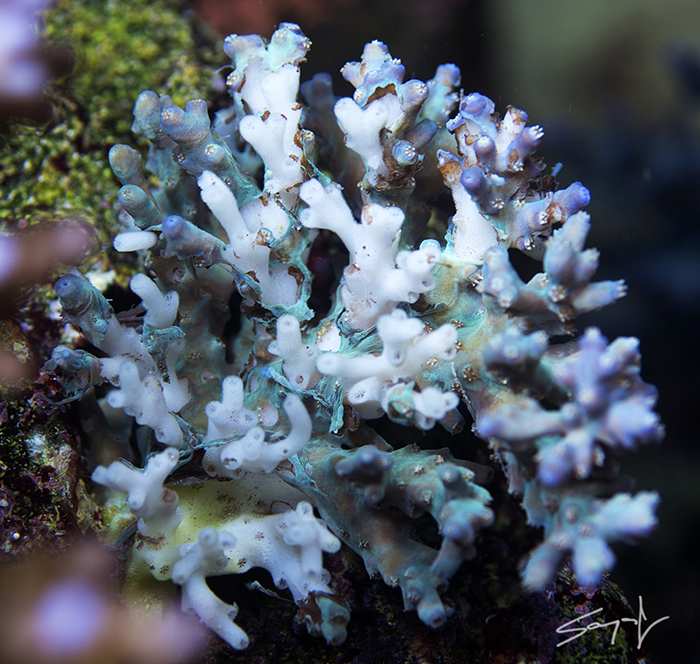 “Temperature-regulated bleaching and lysis of the coral Pocillopora damicornis by the novel pathogen Vibrio coralliilyticus”, Appl Envir Microbiol 69 : 4236–4242. Kushmaro A, Rosenberg E, Fine M, Ben-Haim Y, Loya Y.(1998). “Effect of temperature on bleaching of the coral Oculina patagonica by Vibrio shiloi AK-1 “, Mar Ecol Prog Ser 171: 131–137. Luna G.M.,Biavasco F. and Danovaro R. (2007) “Bacteria associated with the rapid tissue necrosis of stony corals.”, Environmental Microbiology 9,1851–1857. Rosenburg et al, 2008, “The role of microorganisms in coral bleaching”, Journal of International Society of Microbial Ecology, 1-8. Rosenberg E, Koren O, Reshef L, Efrony R, Zilber, Rosenberg I. (2007). “The role of microorganisms in coral health, disease and evolution”, Nat Rev Microbiol 5: 355–362. Reshef L, Koren O, Loya Y, Zilber-Rosenberg I, Rosenberg E. (2006). “The coral probiotic hypothesis”, Environ Microbiol 8: 2068–2073. Ritchie KB. (2006). “Regulation of microbial populations by coral surface mucus and mucus-associated bacteria,” Mar Ecol Prog Ser 322: 1–14. SussmanM.,Willis B.L.,Victor S.and BourneD.G. (2008) “Coral pathogens identiﬁed for white syndrome (WS) epizootics in the Indo-Paciﬁc”, PLoS ONE 3. Sweet M, Jones, R and Bythell, J., 2011, “Coral diseases in aquaria and in nature”, Journal of the Marine Biological Association of the United Kingdom, page 1 of 11. Vega Thurber RL, Correa AMS. (2011). “Viruses of reef-building scleractinian corals”, JEMBE 408:102–113. Vega Thurber RL, Willner-hall D, Rodriguez-mueller B,Desnues C, Edwards RA, Angly F et al. (2009). “Metagenomic analysis of stressed coral holobionts”, Environ Microbiol 11: 2148–2163. Laura D. Mydlarz’ , Elizabeth S. McGinty, and C. Drew Harvell (2010),” What are the physiological and immunological responses of coral to climate warming and disease?”, The Journal of Experimental Biology 213, 934-945.